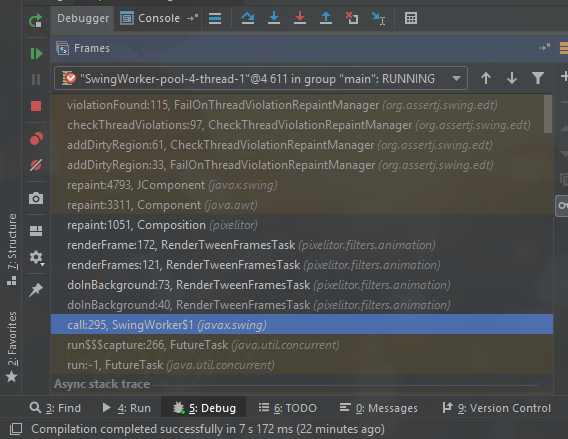 org.assertj.swing.edt.CheckThreadViolationRepaintManager works by inspecting the stack trace of repaint calls which are not on the EDT, and if it sees a swing package before the repaint call, it assumes that Swing called it. repaint() in itself can be called from any thread, but the assumption is that if a swing code calls repaint() outside the EDT, something else in Swing was manipulated outside the EDT. OK, I will send a pull request in a few days. Released in 3.9.2. Thanks for your help!